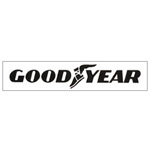 Goodyear Tire & Rubber Company was established back in 1898. The company manufactures and sells tires for the different automobiles, racecars, airplanes, commercial trucks, light trucks, etc. The company is also known by the name of Goodyear Blimp across the globe and it is a successful tire supplier in the United State. Frank Seilberling founded the company, which was a component of Dow Jones Industrial Average as well. It was in 1925 when the Goodyear blimp flew and presently, it is one of the well-known advertising icons. The company now employs about 72,000 employees in its facilities and supplies tires for NASCAR series too. There are currently 0 consumer reviews about The Goodyear Tire & Rubber Company available. Share your review. Please take a note that you are about to post a public review about The Goodyear Tire & Rubber Company corporate office on CorporateOffice.com. This review will be public, so please do not post any of your personal information on this website. If you would like to contact the corporate offices of The Goodyear Tire & Rubber Company, please use their contact information such as their phone number, website, and address listed above to contact them. However, sometimes staff from The Goodyear Tire & Rubber Company headquarters do read the reviews on this website.